I love having live Christmas trees-the natural look of them and that amazing smell every time I walk in the room…it’s amazing! Growing up, we would always go out Thanksgiving weekend and pick a tree then spent the rest of the weekend decorating it. I continued that tradition with my family but as a blogger I found that each year I was needing to show my decor off earlier and earlier. Last year I just couldn’t find any live trees in our area early enough for some commitments I had so I ended up buying an artificial tree. I like it but I really missed having a real tree in the house. This year I decided to give in to my Christmas obsession and get the best of both worlds so I put up my artificial tree a few weeks ago and then I went out with my boys to pick a beautiful live tree to show off too. 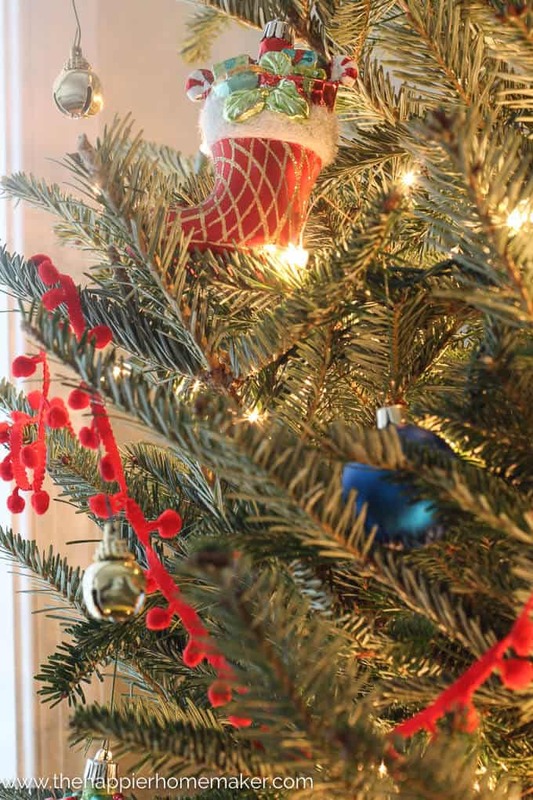 As I was prepping our tree I thought I’d share some of my favorite Live Christmas Tree Tips and Tricks here on the blog as well! Have the trunk freshly cut when you purchase your tree-this ensures that the tree will be able to take up water once you get it home. Have an adequately sized tree stand. A general rule of thumb is that it should hold 1 quart of water for every inch diameter of the trunk. 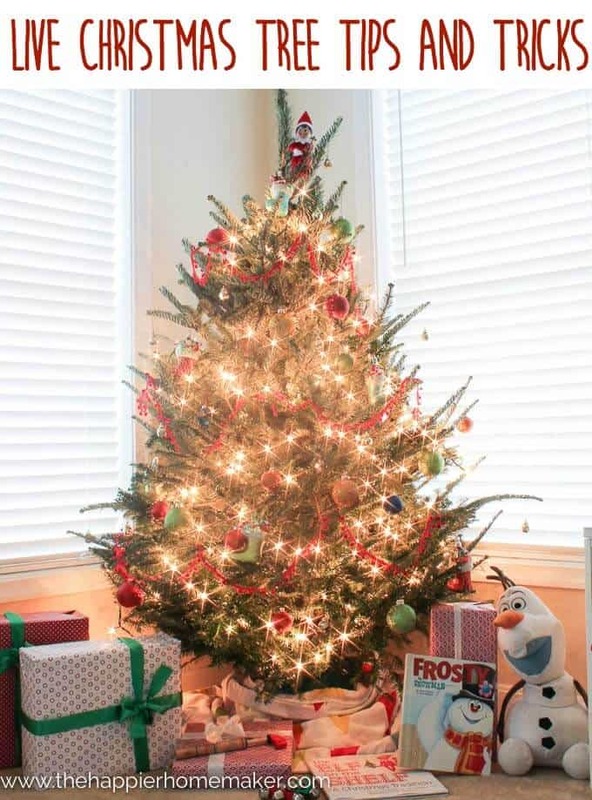 Place your tree in water as soon as you can-a few hours probably aren’t a big deal but don’t leave the tree sitting for a long time after recutting the trunk. If you can’t put it up right away leave it in a cool place with the trunk in water. Add 2 tsp (one capful) of Miracle Gro® for Christmas Trees to each quart of water for your tree-you can find it at Lowe’s, Home Depot, Amazon, True Value, Do-it-Best, & Ace Hardware. 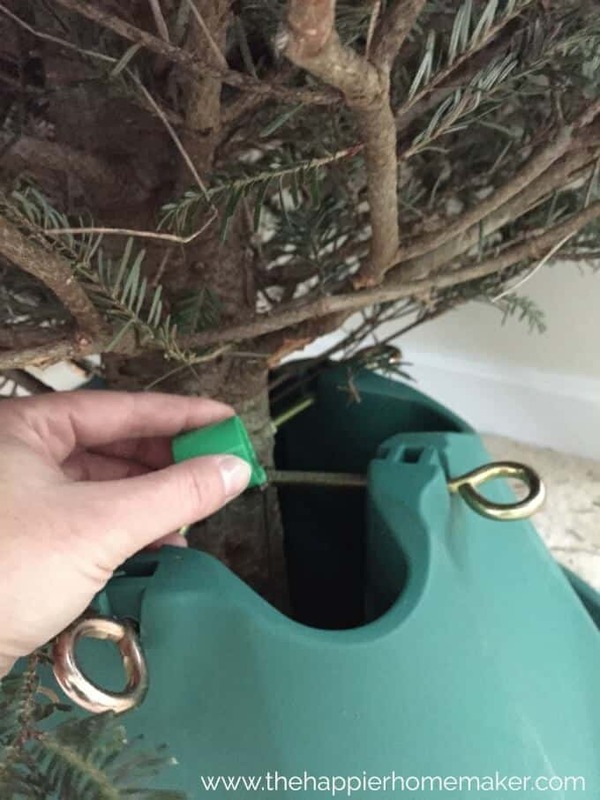 One bottle will last you the season and help reduce needle drop and keep your tree hydrated. 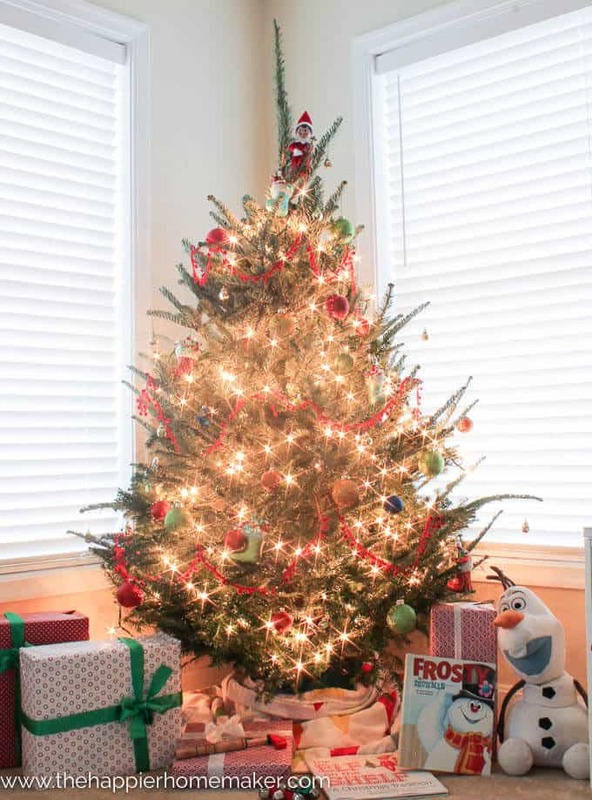 Check your tree’s water daily-especially once you first set it up as they can take in more water just after set up. Try to keep the bottom 2 inches of the trunk submerged at all times. We set up our live tree in my children’s playroom. I remember being aggravated as a child that my mom wanted our Christmas tree to be “boring” when I wanted it bright and colorful so I let the boys have free reign with the decorating on this one! 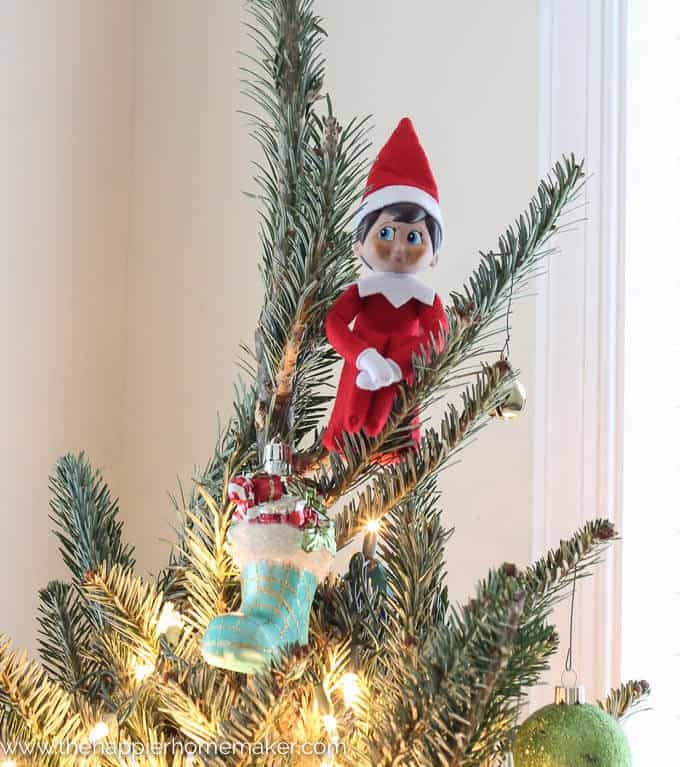 Their friend “Elfie” was watching over the playroom carefully this day-making sure everyone is sharing their toys! Want to hear something funny? I had wrapped empty boxes as “presents” when I photographed my Buffalo Check Christmas tree a couple of weeks ago and my boys think all these presents are just empty boxes-they don’t know that I went out last weekend and bought gifts! They haven’t tried to mess with the boxes at all! 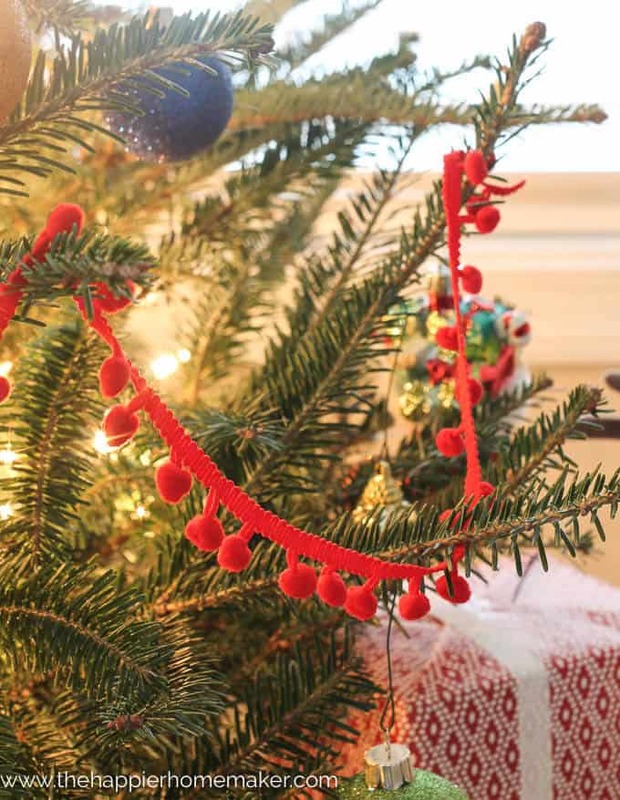 I love this little pom pom garland-pom poms make everything better don’t you think?? The boys love having the tree there while they play and I love having twice the Christmas twinkling going on!